I’m wrapping up my contributions to the Back to School tour with Jalie #3242; Underwear for Men, Women, and Children. I really coveted this pattern from Jalie for two reasons. 1. The whole family’s needs are covered and 2. We’d be set for life. One of the really wonderful things about how Jalie creates their patterns is the incredible size range -29 sizes in this pattern. With one pattern I can sew for the little guy into his adulthood and we can all choose between styles. I used cotton spandex remnants to make a coordinating set for the little guy. I skipped the elastic in the leg and used a fabric waist band, relying on the stretch in the fabric. So far, so good. In the future, I’ll try to work out adding in a front fly. I muslined myself a pair of the women’s bikinis and will do a pair of trunks next for the hubby. I’ve already traced and transfered pattern pieces to cardstock for repeated use. The only way I see an underwear shortage is if I run low on elastic. Please visit the other bloggers on the Back to School tour too. 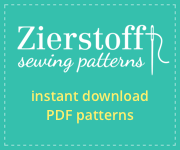 *Jalie Patterns provided the pattern for me to sew my creations for this post- Thanks for getting us covered. Great looking underwear. The colour blocking looks great. Every time I see underwear being sewn, I think to myself I need to start making my girls underwear from scraps… your post is a reminder I need to start doing that!! !